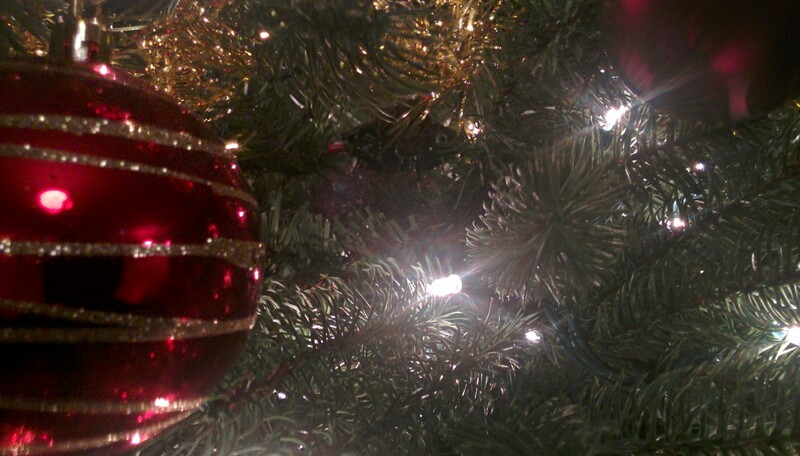 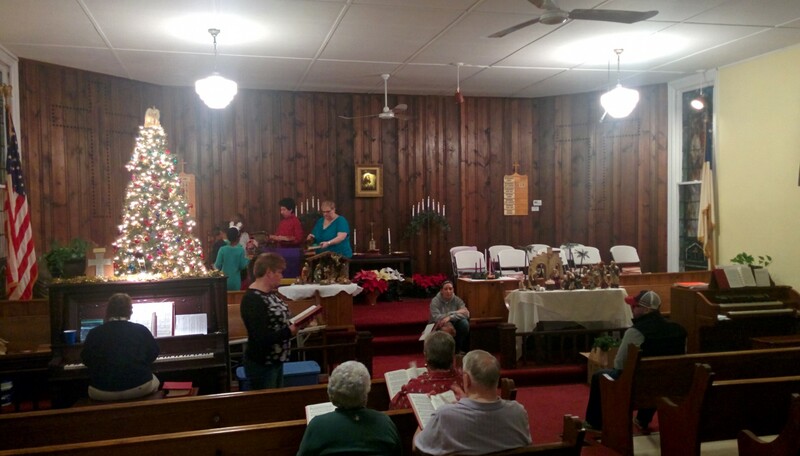 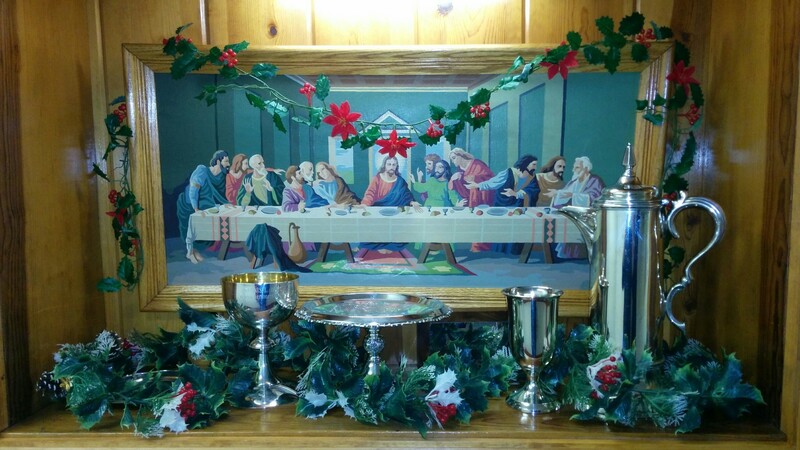 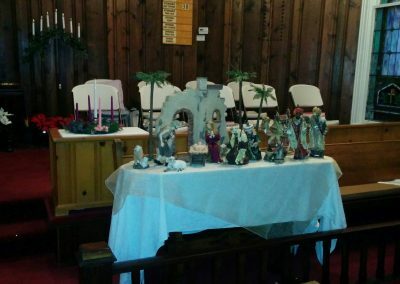 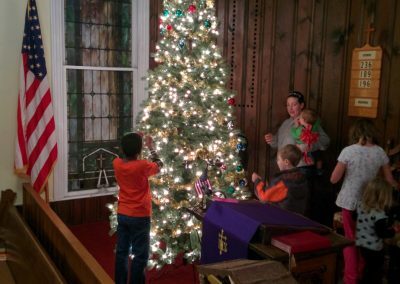 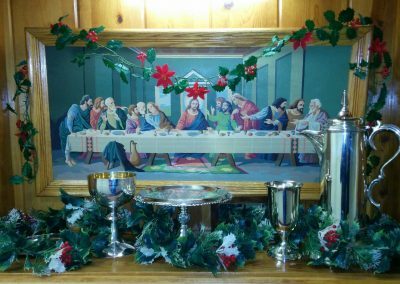 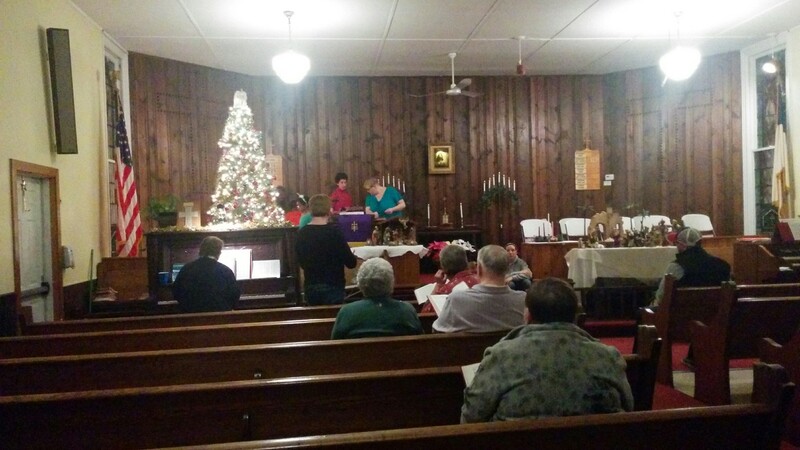 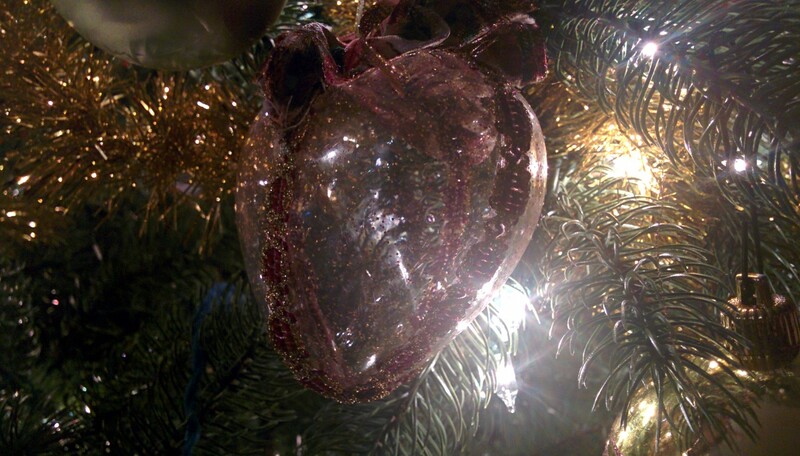 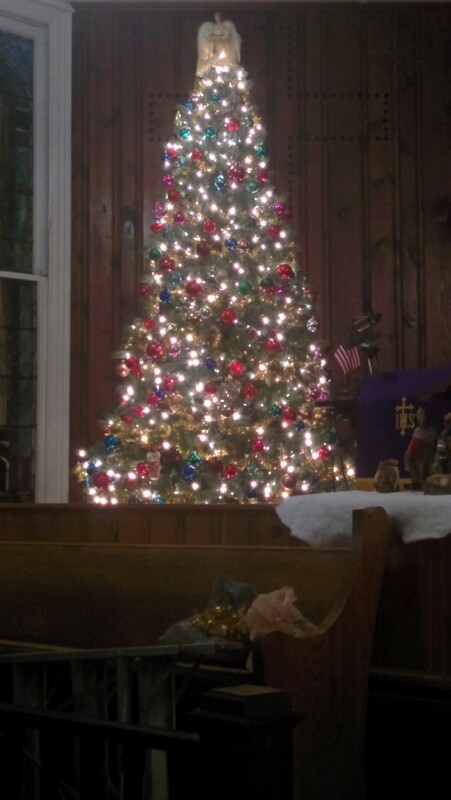 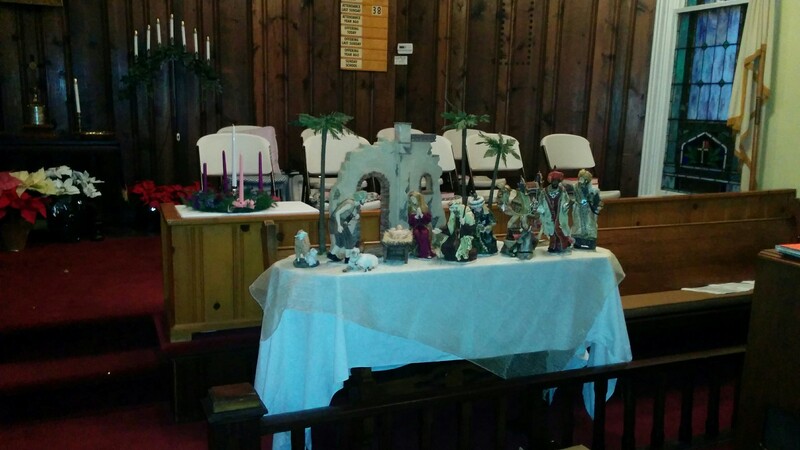 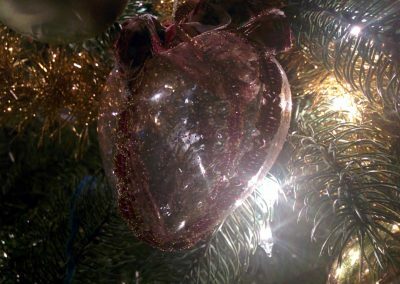 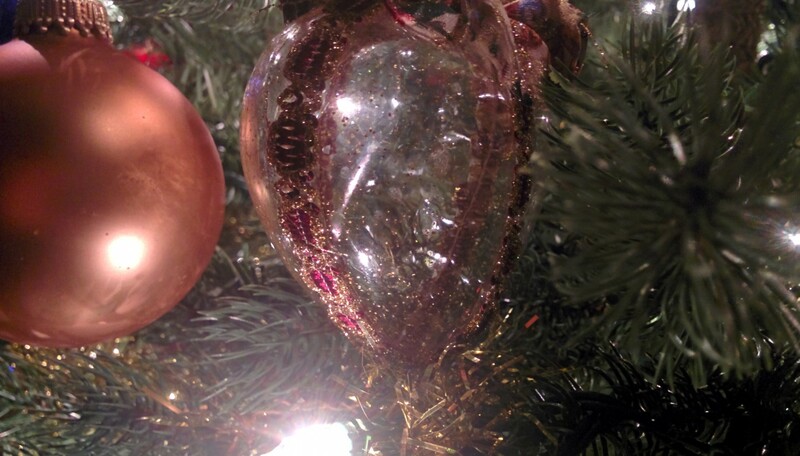 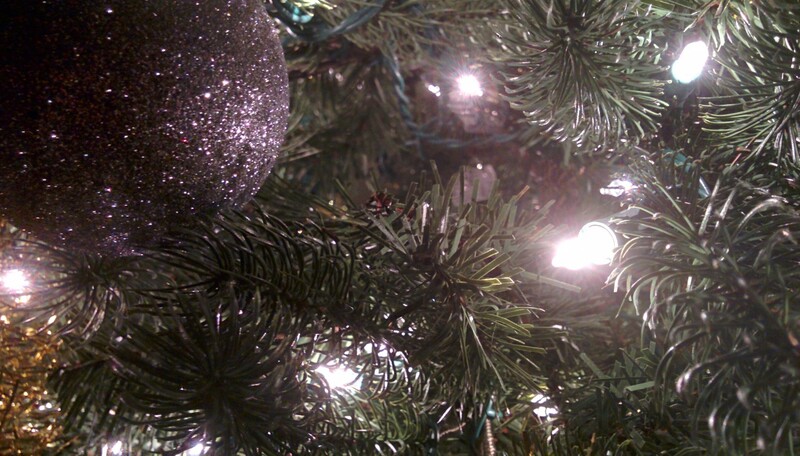 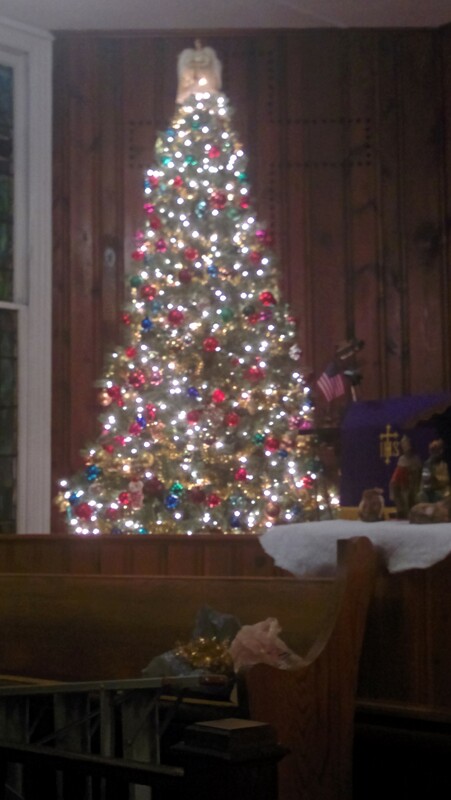 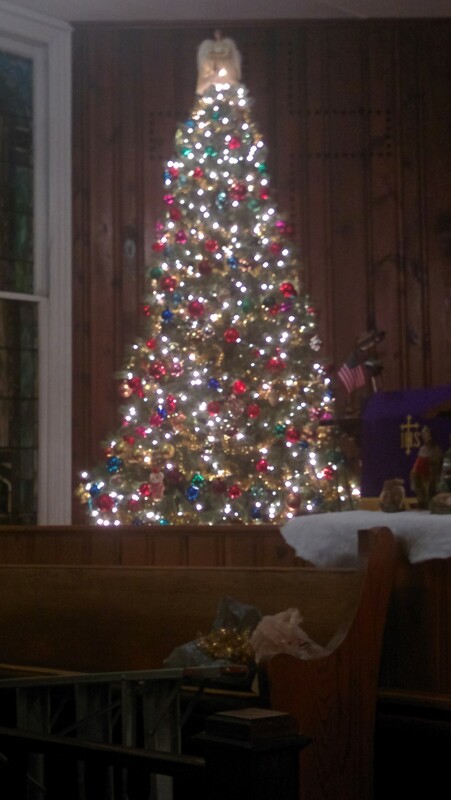 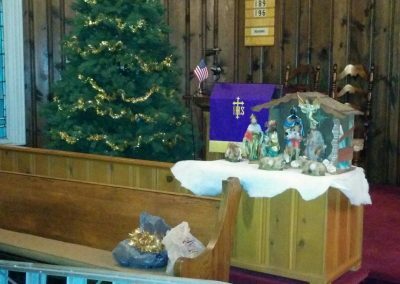 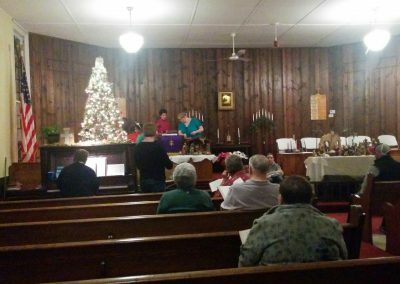 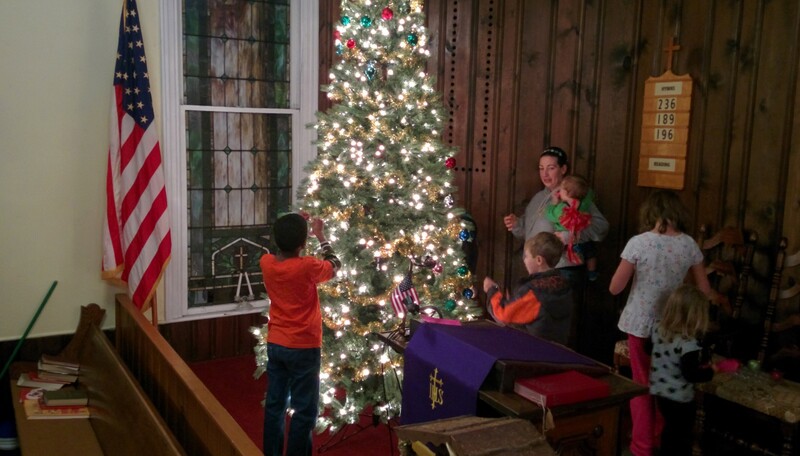 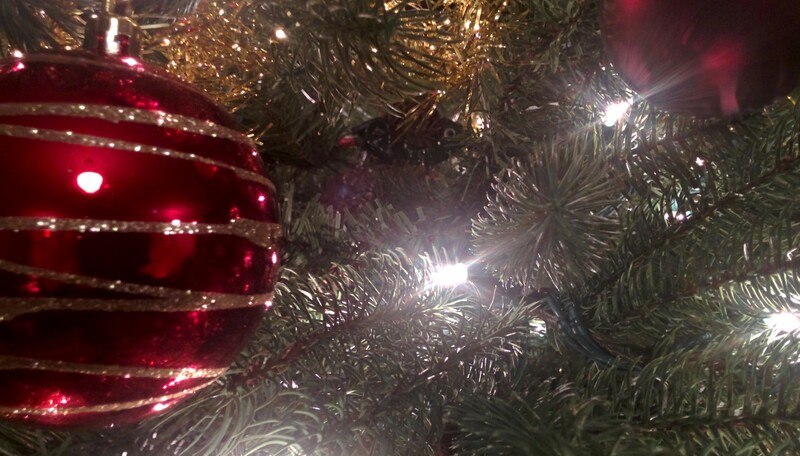 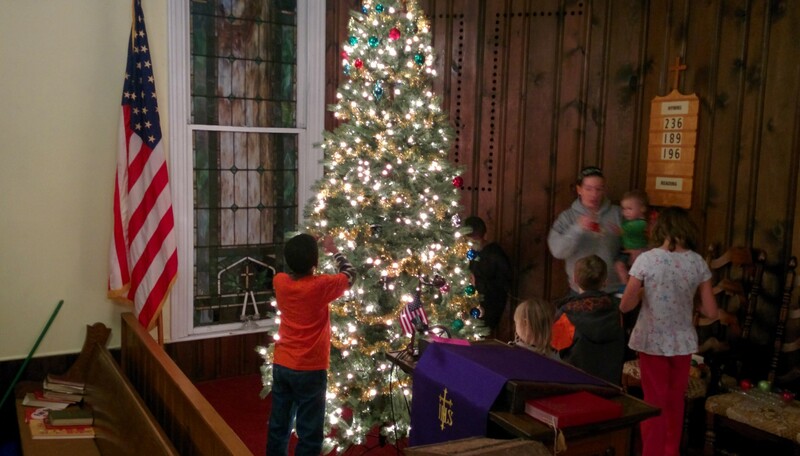 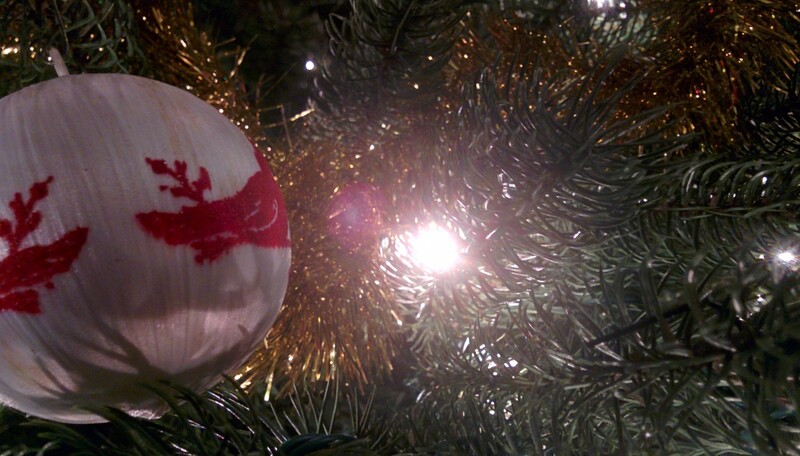 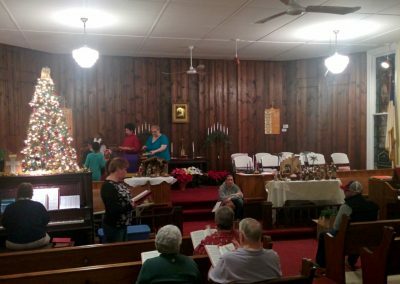 Like many other churches, our church has many traditions around Christmas. 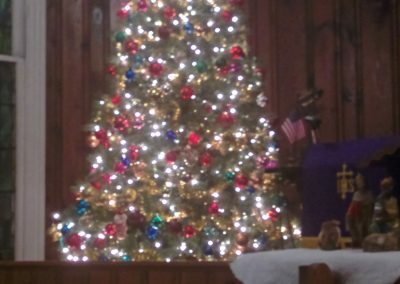 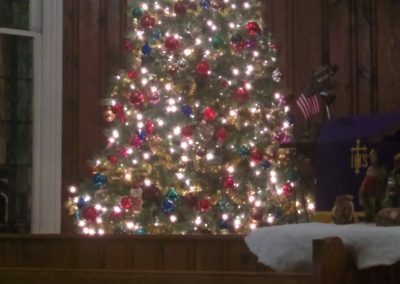 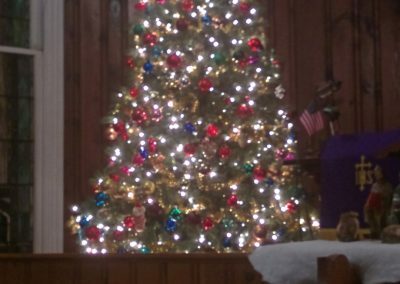 One of those traditions is the annual greening of the Church which takes place the 1st Sunday after Thanksgiving which is also the first Sunday of Advent. 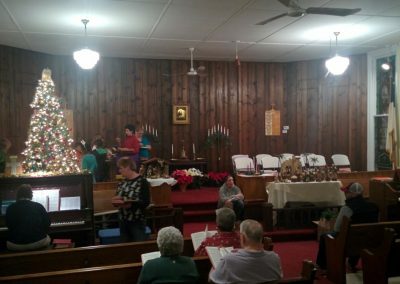 Our evening of hanging the greens started out before many of us had even arrived with some advance setup by several church members which included the initial setup of the tree, setting up the nativity adding additional decorations as needed to spruce up some portions of the Church. 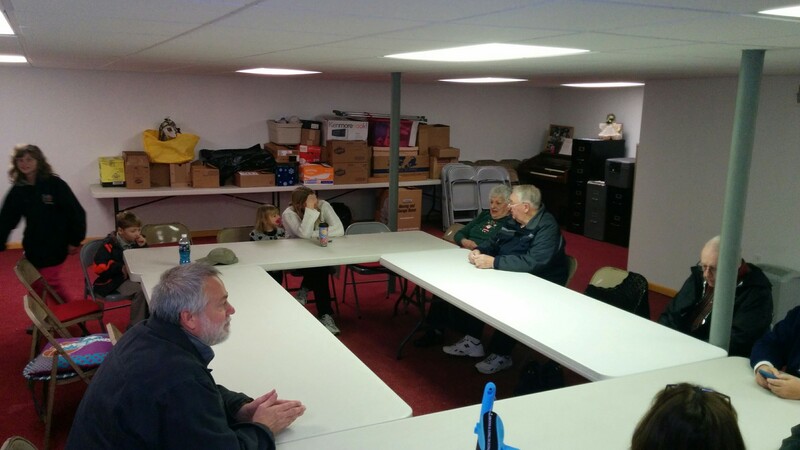 We met this evening at 5 PM for fellowship and a very good dinner of pizza and other items, Pastor Bouch blessed the food and kicked off the evening. 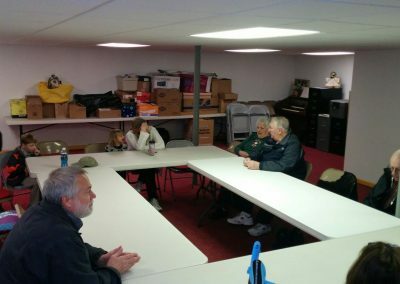 We had a little over 30 people in attendance. 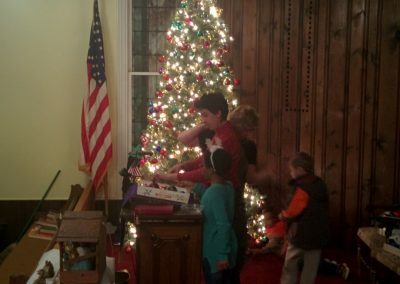 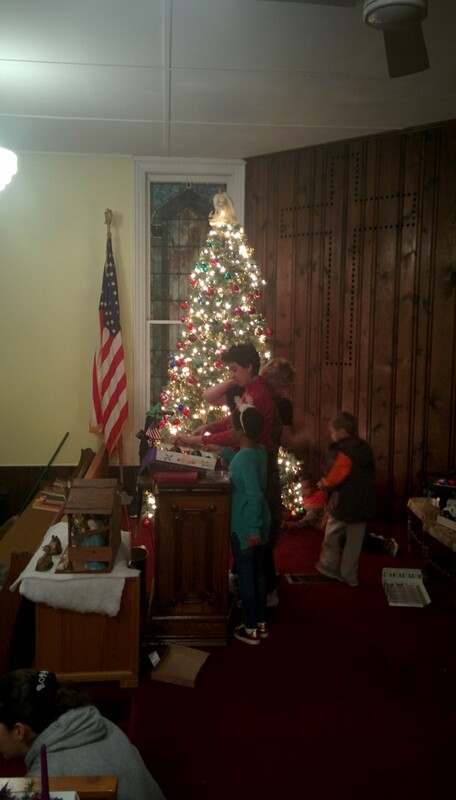 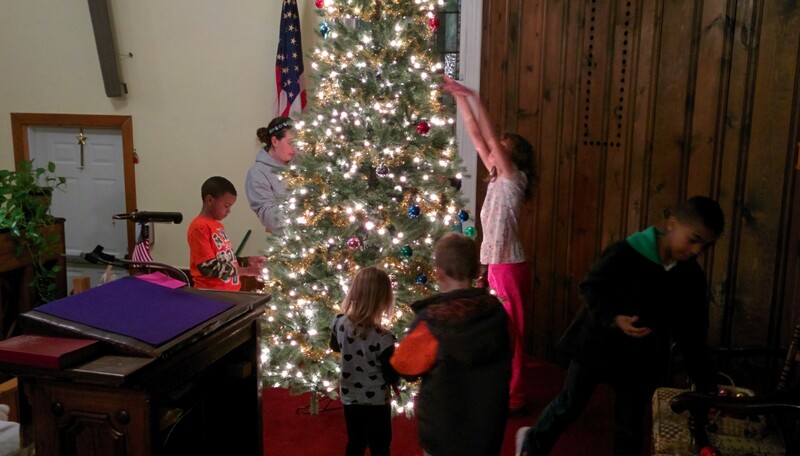 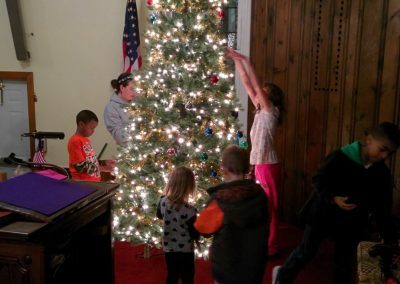 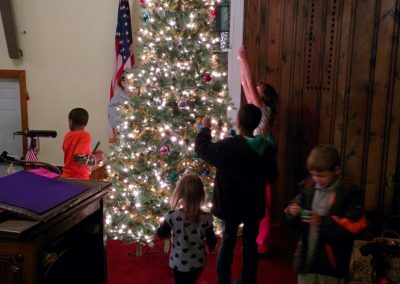 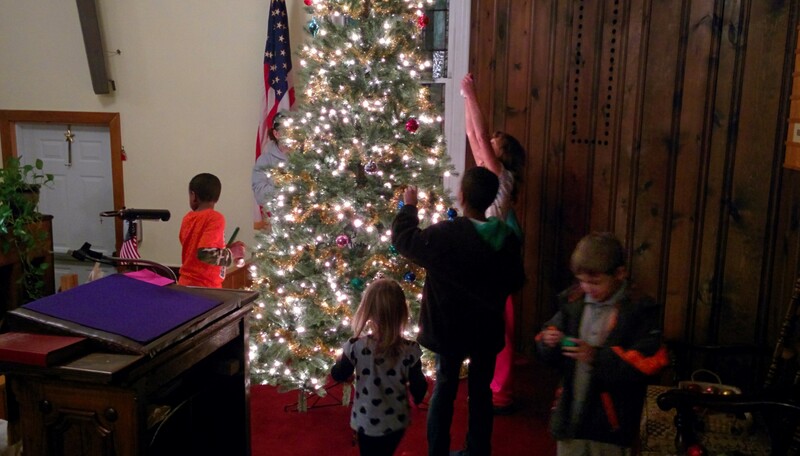 After an hour or so of fellowship everyone headed upstairs for an hour of singing Christmas carols while the Children proceeded to hang the majority of the bulbs on the tree. 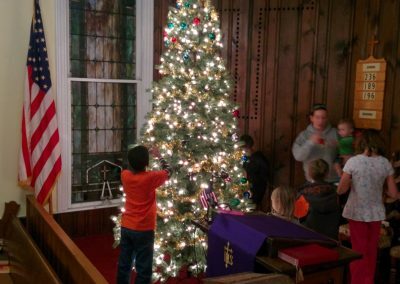 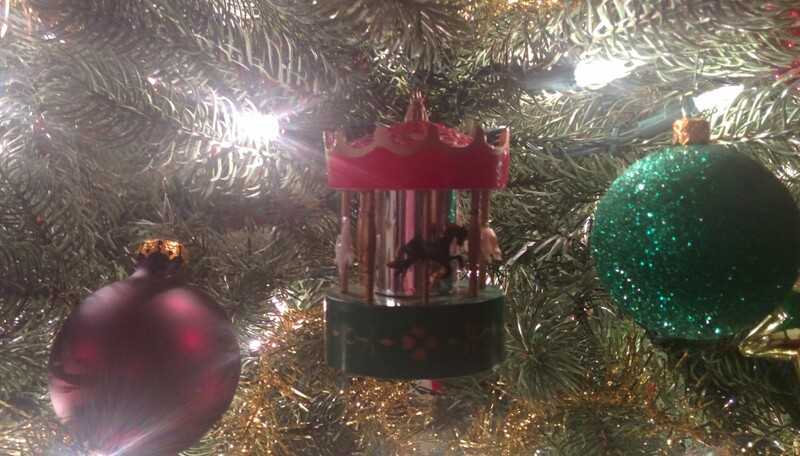 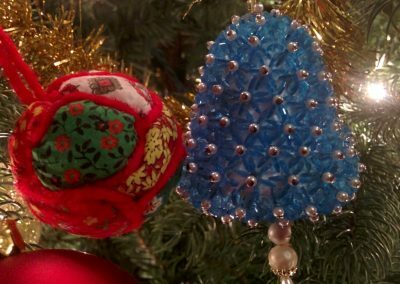 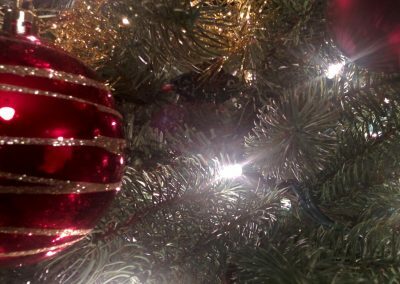 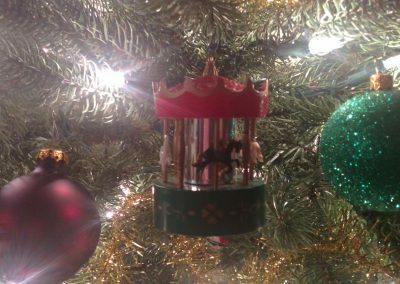 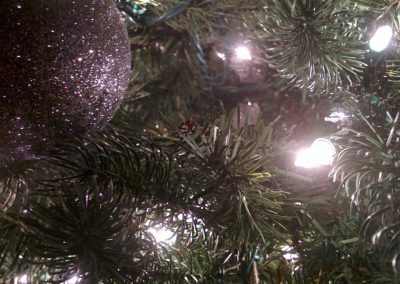 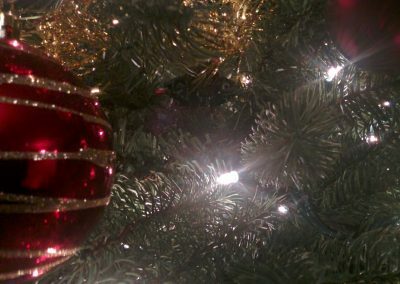 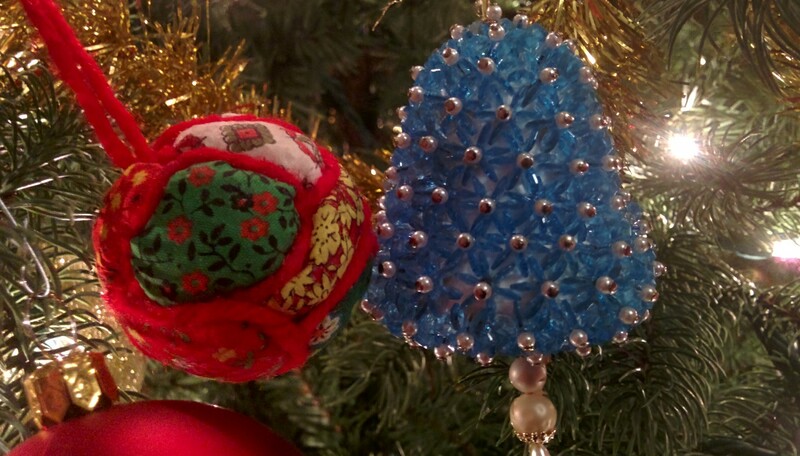 It was a festive time and the tree went from beautiful but a little plain to colorful and alive from the joy of the children. 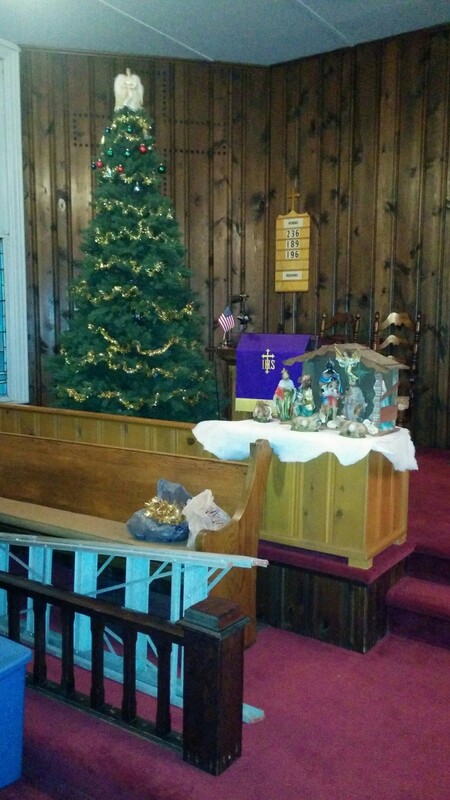 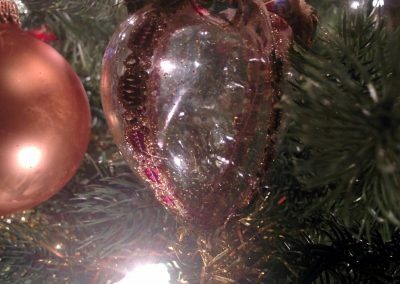 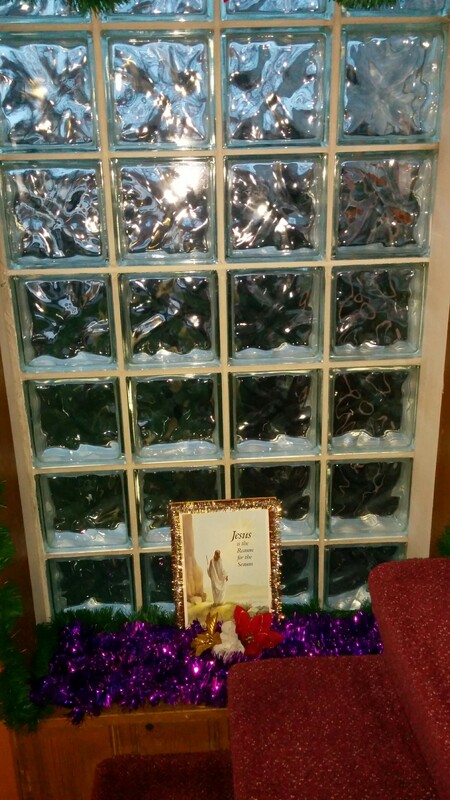 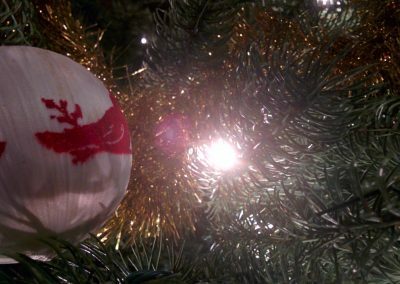 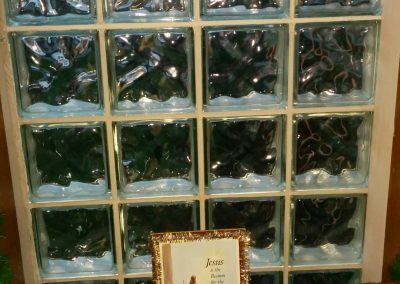 After the main portion of the greening was complete, Donna asked Julia to place the baby Jesus in the manger and asked Dean to hang the wreath on the door. 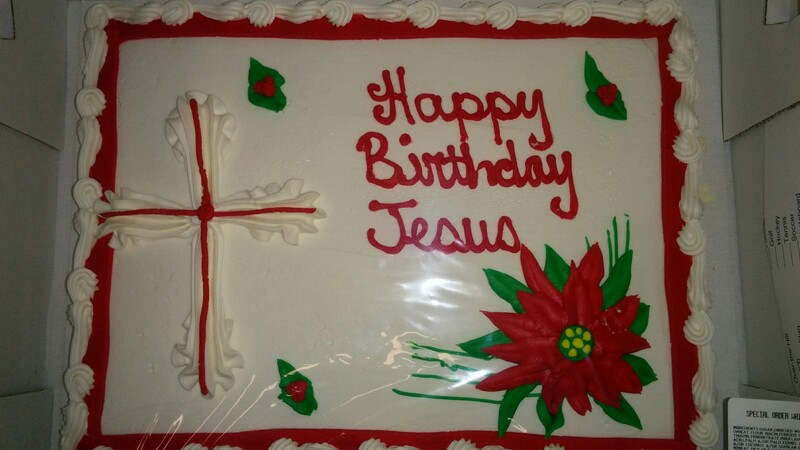 We then all returned downstairs where we sang Happy Birthday to Jesus and enjoyed a wonderful Birthday cake. 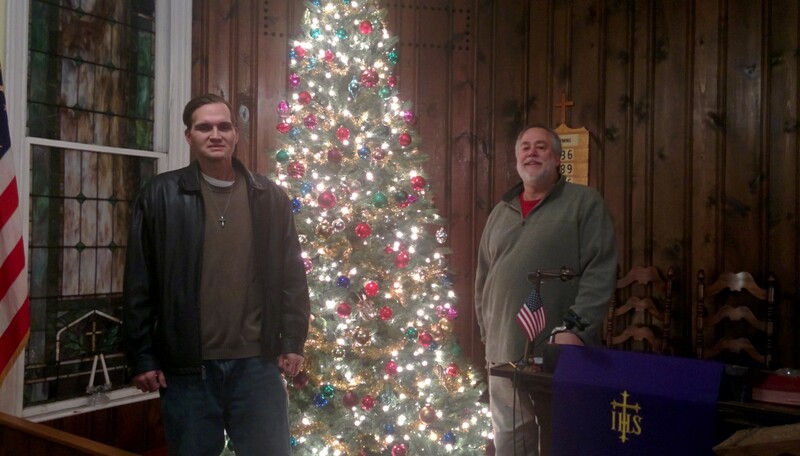 One additional photo from the evening is Pastor Bouch (right) and Bobby (left) posing near the Christmas tree.